The 2016 Can Am Wushu Championship was held in Vancouver on the 14th of May. Ten athletes from Ji Hong Wushu and Taichi College competed in the Taichi Taolu, Push-hand and Sanda (Free Style Sparring). The results: the five athletes competing In Taichi Taolu won 7 gold medals. They are Wendy Fung, Ivy Ho, Harry Tran, Ling Ling Yao, Pang Ng. 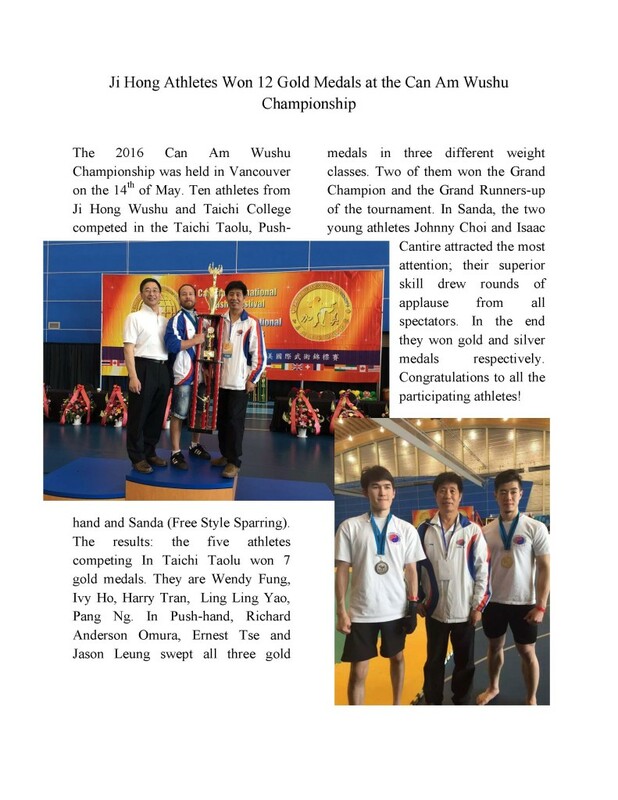 In Push-hand, Richard Anderson Omura, Ernest Tse and Jason Leung swept all three gold medals in three different weight classes.